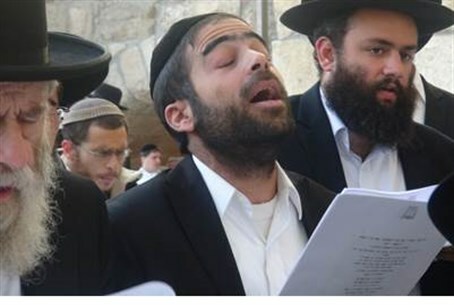 Jerusalem's new city rabbis led the prayers following the latest murderous wave of Muslim terror attacks. A large prayer rally was held Thursday evening at the Kotel plaza in Jerusalem, following the latest surge in Muslim terrorism in the capital and other parts of Israel. The prayers were led by Jerusalem's recently appointed chief city rabbis, Rabbi Aryeh Stern and Rabbi Shlomo Amar. Also attending was Deputy Minister for Religious Services Rabbi Eli Ben Dahan (Jewish Home), and members of the Jerusalem Municipal Council. Councilman Ofer Berkovich expressed his pleasure with the initiative that was led by the Jerusalem rabbis. “The unity that we possess is the strongest security against a day in which marauders come to break through the wall,” added Rabbi Stern.